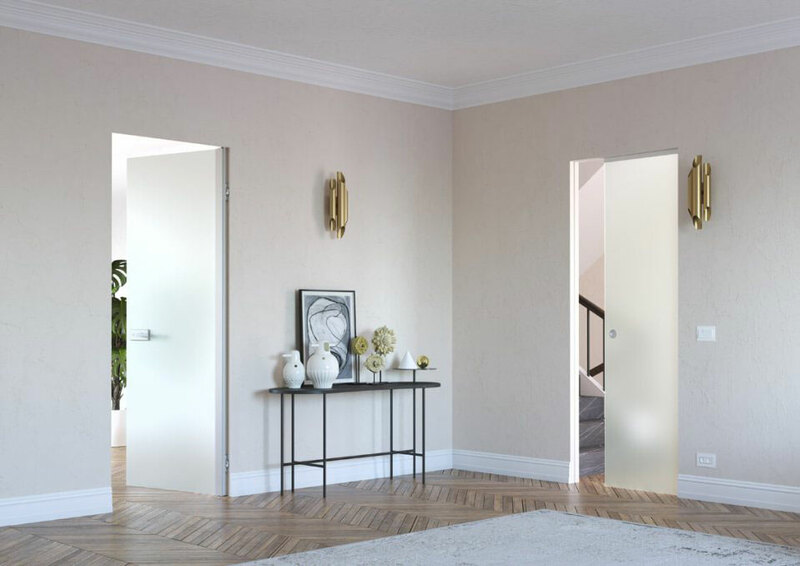 Why a choose an architrave-free, flush door system? The Syntesis® Flush Collection is a complete range of flush or architrave free products that work in harmony with each other. 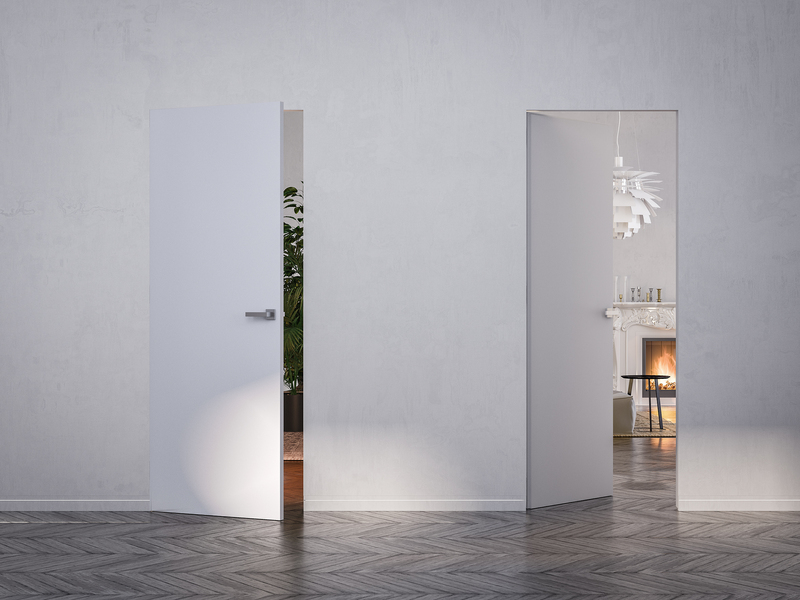 The collection features a pocket door system without jambs or architrave, a concealed hinged door frame for a flush finish, a flush riser door system and a flush skirting board adapter. The emphasis is on uninterrupted, clean lines for an interior without fuss, where less is more. 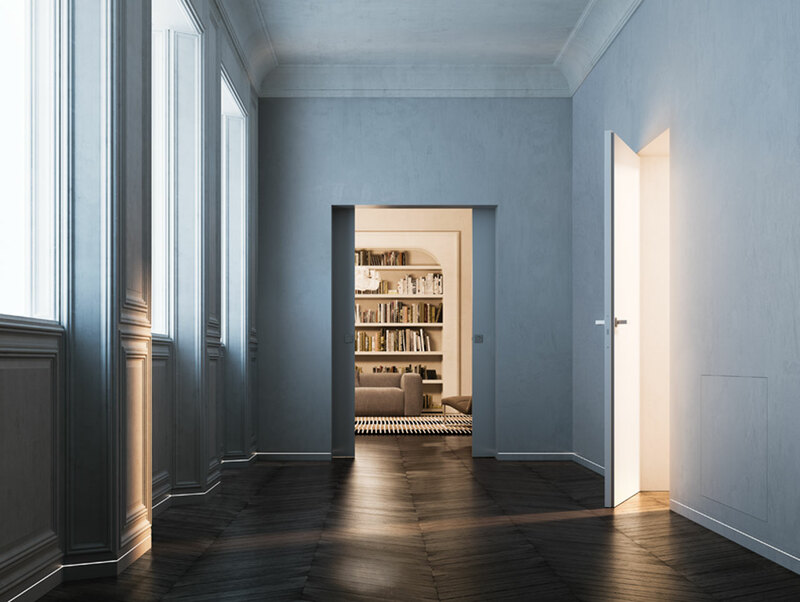 Reinforced Frame with Innovative Edge Profile : The pocket, track holder and doorpost have an innovative edge design that allows for a crisp plaster finish right to the edge and into the return for a minimalist architrave free appearance. The frame is reinforced at key points to avoid strains that can cause cracks in the plaster. 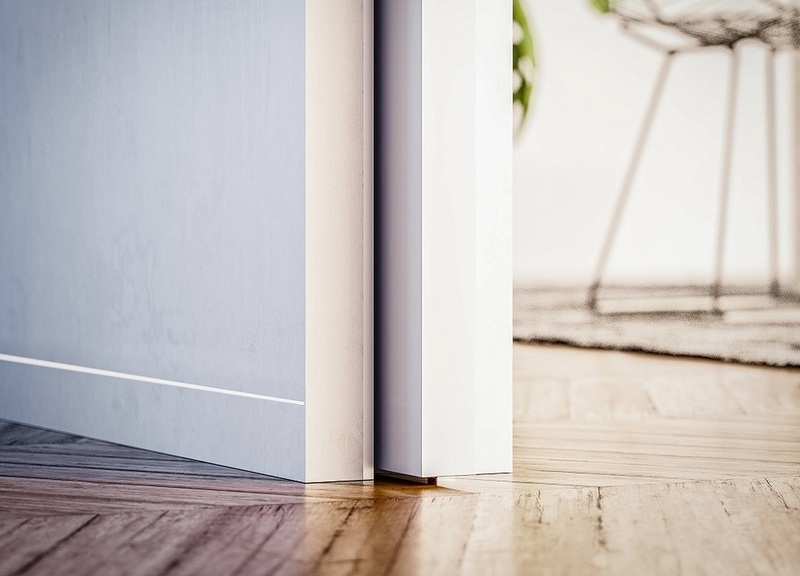 Sealing Strips: The Syntesis® FLUSH Pocket Door System has paintable sealing strips that close off the space between the door and the track and also allow for small differences in tolerance. 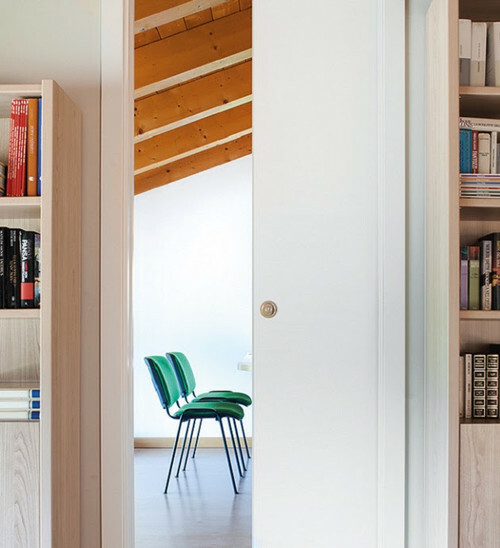 Ingenious features: The Syntesis® Flush Pocket Door System has a front door stop and an ingenious rear doorstop which can be adjusted without removing the door. So you can adjust how far you want your door to retract into the pocket without having to remove the door. Innovative edge profile: The Syntesis® Flush Hinged Door System does not require jambs or architrave. It's innovative edge profile allows for a crisp plaster finish right up to the edge. The aluminium frame is firstly subjected to a phosphate treatment for protection against oxidisation, it is then primed so it’s easy to paint. The high strength frame with it’s 2Kg/m profile is designed to avoid strains that can cause plaster cracks. 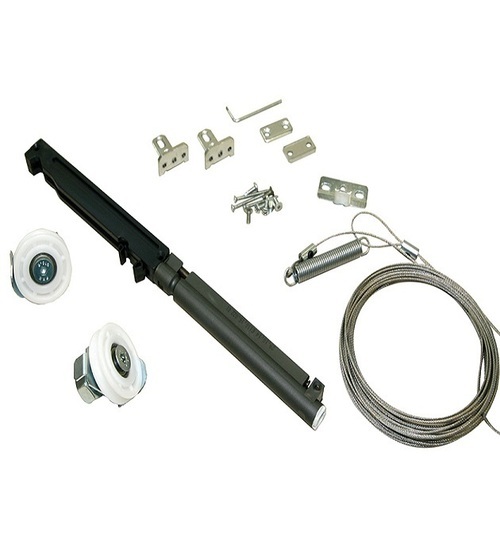 Hardware kit: Our concealed door frame is supplied with a hardware kit that comprises of door seals, a magnetic latch, 3 concealed hinges adjustable in 3 axes, hinge covers, strike plate and fixings. The magnetic latch is designed to close softly and discretely. The bolt remains flush with the panel when the door is open. 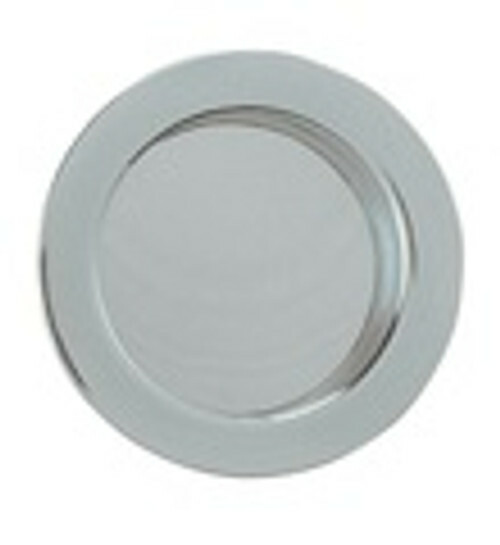 It is attracted to the magnetic strike plate when closing, without pressing the handle. Supplied with or without door: The doors we supply are fully primed and ready to paint or lacquer. The door has double thickness stiles and rails for rigidity. Doors over 2000 m high come with a tensioning rod to preserve the flatness of the door further guaranteeing a perfect closure. 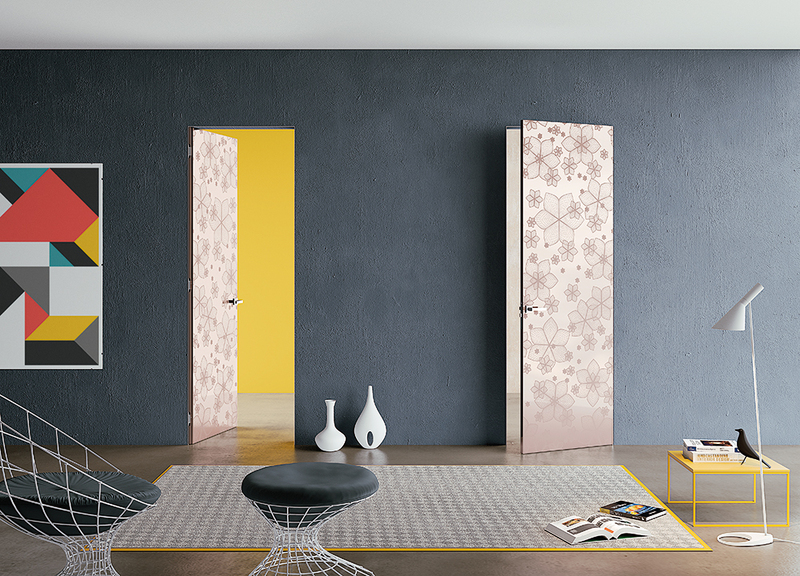 Blend in or stand out: Make a feature of your flush hinged doors or paint the doors the same colour as the walls so they blend into the background, the choice is yours. 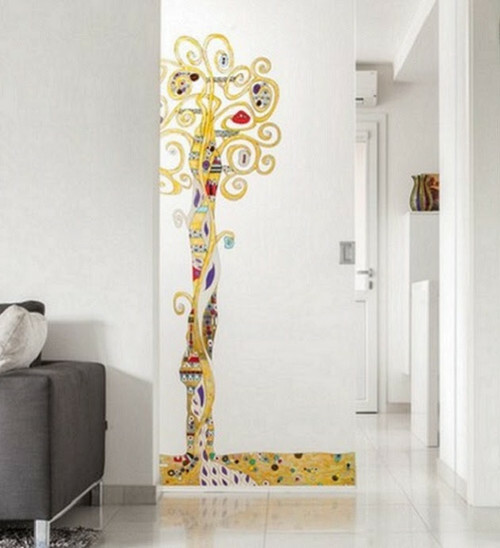 Get creative and enjoy the freedom that a concealed frame doors give to your design. Push or pull available: The single and double flush hinged systems are available in a push or pull version. 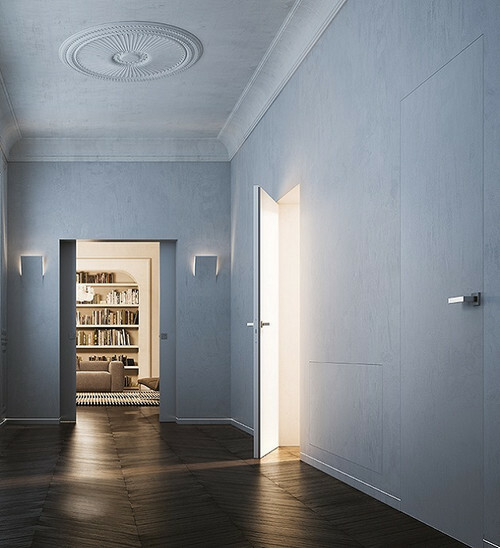 Innovative edge profile: Allows for a crisp plaster finish right up to the edge for a minimalist architrave free appearance. Glass Door: Complete with 8mm tempered glass door in a variety of finishes. Hardware kit: Comes with magnetic door latch, seals, strike plate, vertical anodised trim and 3 hinges. Robust Frame: The box cross sectional frame has been designed for strength and rigidity from 2kg/m aluminium and is designed to reduce flex and so maintain a crisp plaster finish without cracks. 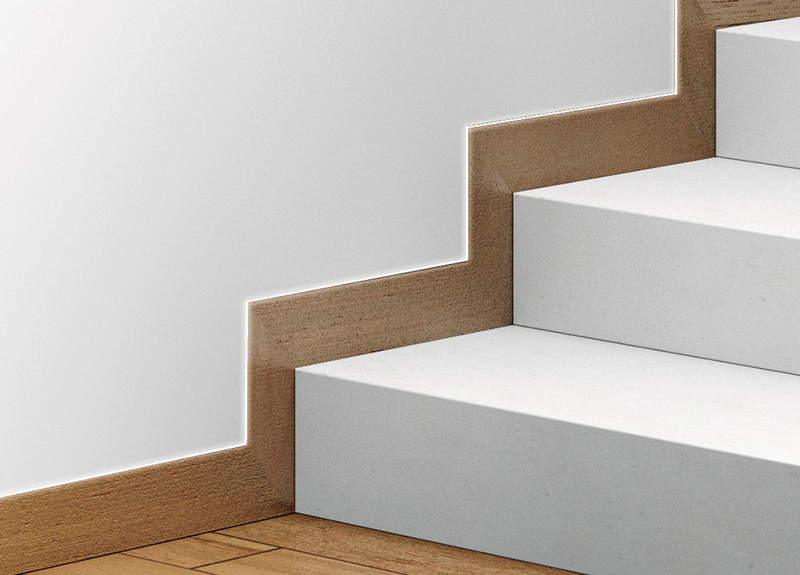 Syntesis® Flush Skirting - with this skirting board adapter your skirting can be flush with the wall.